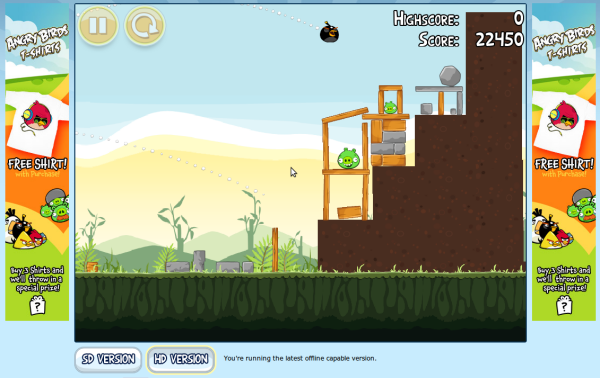 Everyone, it seems, is playing the Angry Birds. In my line of work, I get to read a lot of sci/tech articles and if someone is talking about an operating system, they almost always mention that you can play a game of Angry Birds on that particular o/s. It is a tragedy if you can't play the Angry Birds game! I am usually on top of all the latest trends, but I guess I missed out on this one. I wouldn't say Angry Birds is all I ever needed, but you know... how can you go wrong when you get to kill a few pigs using destructible angry-looking birds?!!! 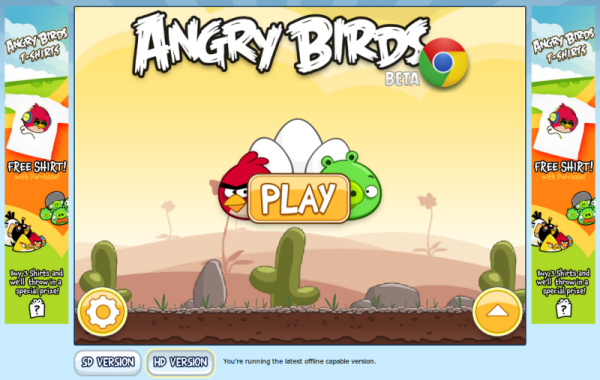 The game was originally developed for mobile phones by Rovio. Specifically, it was developed for iPhone, iPods (3G and higher), and iPad. Since Android-based phones outsold Apple's products, the company decided to port their game to Android devices. As Android phones come in so many shapes and sizes with their specific CPUs, GPUs, screen dimensions, touch controls, dial-pad buttons and so on, the task of porting was highly complicated and only partially successful. As a result some of those phones (and many are popular) are not supported by the game developer (to check this information, just Google “angry birds unsupported phone”). Currently, the game is available on almost all portable devices (primarily smart phones) and some game consoles (PSP, Nintendo DS). 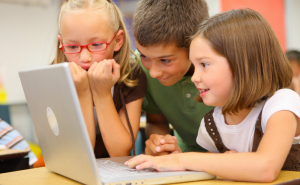 You can also enjoy the game on a desktop computer. So far, there are two versions – Angry Birds and Angry Birds Rio. The latter is, what it seems, a marketing move to promote/support the animated cartoon Rio relatively recently released in 3D. Regardless of the version, the game play is very similar, you get to kill pigs! 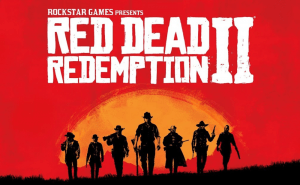 You can download the demo versions from the official website or you can buy the games right away for your PC computer(s) or mobile device(s). There you can also buy cute angry birds memorabilia: phone cases, toys, key-chains. This is a great marketing move. Not only the company gets profits from an awesome game, but they also collect some revenue from its franchising. Great job, Rovio's marketing department! 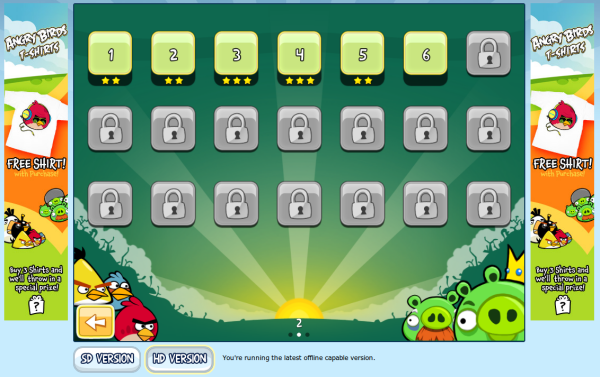 If you are one of those people who like to try things without installation, Rovio thought of you too. Well, the company thought of me for sure! There is a chrome browser version of the game available (I do not use anything but Chrome these days). 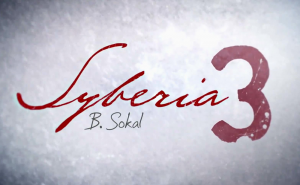 You can try the game for free, get addicted, and buy it for your mobile device. And trust me, you will get addicted! The game play: each level you are presented with a structure made out of glass, wood, or stone. Inside, on top, or by those structures there are round faced of pigs. Your goal is to hurt those pigs by launching birds from a slingshot. As you advance yourself through the levels, its difficulty grows by including ever more stable structures, but your capabilities also increase. In further levels you are given the birds that can explode, that can break through the wood, and birds that split into three smaller ones and many more. When you need to kill the time and you are frustrated, this game will help you solve both of those problems. Time flies by when you are playing this game. I even got in trouble at work by missing a deadline due to this game. So be careful and set the alarms of how much time you are to play this game. Here are some locked and unlocked levels in the second world. A world contains about 21 levels. 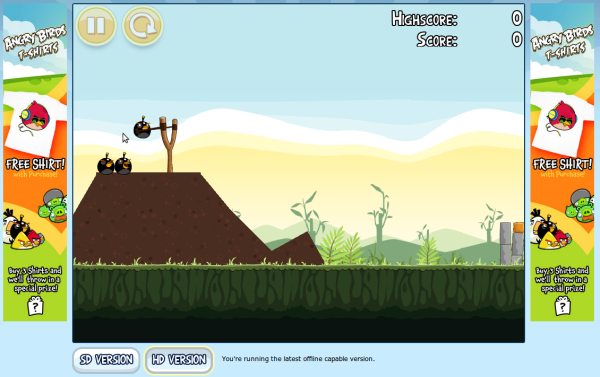 Here's how a level's obstacle looks like. My goal is to kill all the pigs. The angry-looking bird is about to be launched to kill the pigs. This type of the bird explodes on the click of your mouse. And here's the pleasant view of a level complete and the destruction those birds have caused. As you can see the game is awesome and I am sure you will enjoy it. You can find out technical information about the game on the software informer's page here: Angry Birds and Angry Birds Rio. For the Chrome browser version click here. So happy playing, and kill them pigs! 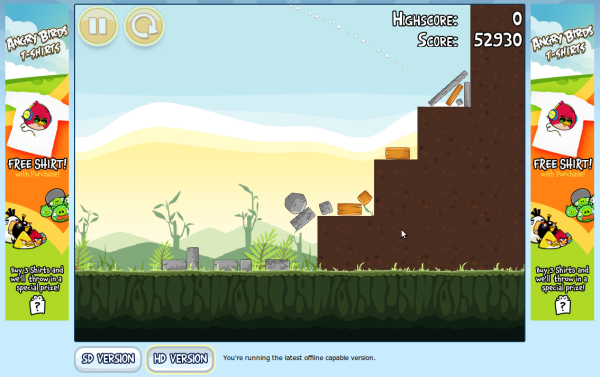 Is sad angry birds don't have a level editor in it.